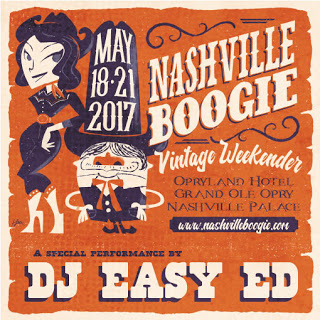 March 10 Installment of Easy Ed's Variety Hour/Nashville Boogie! If you missed our March 10 broadcast you can listen to the (always free) archive MP3 by clicking here. The songs we played are listed below. I've been under the weather and couldn't do all of my usual pre-show homework this time. 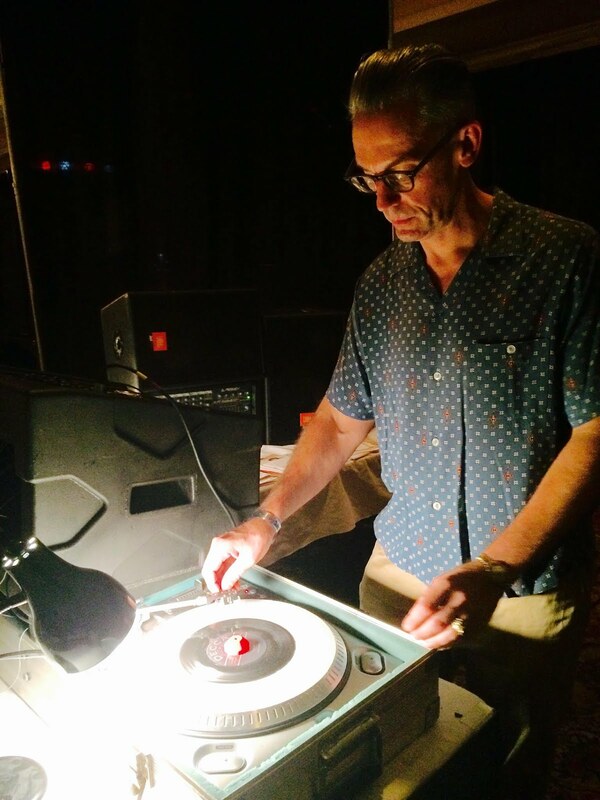 But the records/songs are the important part, and I think you'll like the selections. If you do like what you hear, please leave a comment on our Facebook page. Thanks for your interest in the show! 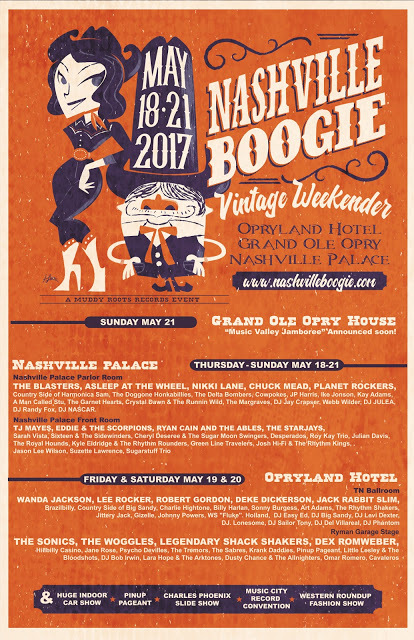 I'm honored and excited to be DJing the Nashville Boogie in May 2017. What an amazing lineup! Get your tickets quick! Miss Amy Griffin, Cogs, Rockin' Records 45 (Green Vinyl!) If you're going to Viva Las Vegas this year I hope you have a fantastic time. Be sure to see Miss Amy at the Wednesday Pre-Show (April 12). Wish I could be there you guys! The Coachmen (Roy Sludge), Long-Haul Weekend, The Turner Sessions, Promo of Unreleased CD. See Roy Sludge March 18 at Atwood’s (early 4:00 PM show). The 24th Street Wailers, Can't Fight It, Where Evil Grows, Lmb Records. 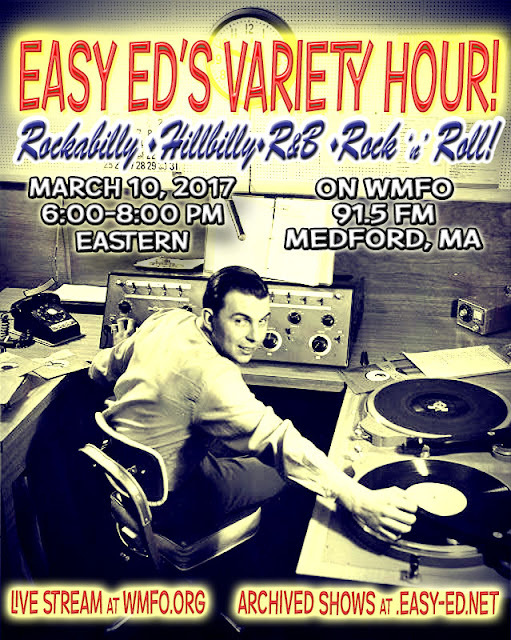 See them at the 2017 New England Shake-Up!